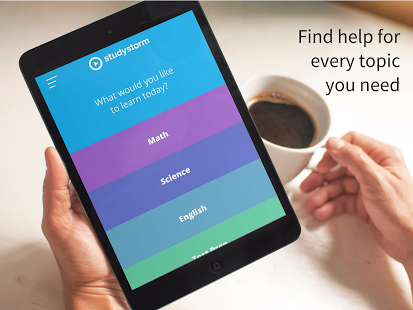 The Studystorm app contains a wealth of educational videos across a range of core academic subjects - maths, science, English and additional learning skills. It is aimed at the American market, with spellings, spoken accents and curriculum content reflecting this fact throughout. The app itself is small and quick to load, but requires a constant internet connection due to the fact that each video is streamed as required. 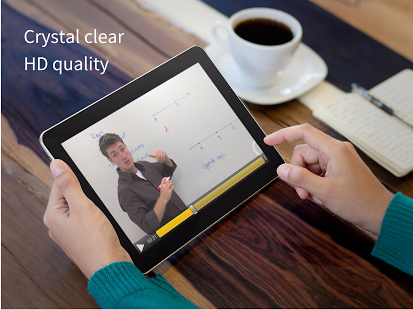 The videos themselves are accurate in the educational content they cover, with a lecture type approach to presenting the material - with spoken commentary from the teacher and notes written on a whiteboard or similar as necessary throughout the video. Although the content is comprehensive, it will not necessarily capture the interest or motivate students who are not keen to learn anyway. This app is completely free, including the full set of videos included. It is possible to buy an ad-free version, but the free version being reviewed had adverts throughout - including on menu screens, shown before videos played and on banners around the screen. This provides a very distracting feature within the app, although this is not a problem in the paid version. It is understandable given that the content is being provided for free, but may well put students off continued use over time. To look into the content in a little more depth - the topics covered align mostly with the upper end of secondary school curriculum requirements. The maths covered includes topics such as pre-algebra, algebra, geometry, trigonometry, pre-calculus and calculus. Science includes physics, chemistry and biology. English covers literature, writing and grammar. There are also several sections involving preparation for specific American exams, and more generally skills for getting into college and making the most of high school in America. Although this is clearly rich with different topics and subjects, it is worth bearing in mind that this would not cover all the topics for a foreign curriculum. Taking the specifics of the English maths curriculum, there are many topics not included, such as anything on statistics or probability. That said, a good teacher or organised student could pick and choose the videos that would benefit them alongside other approaches to learning and revision. 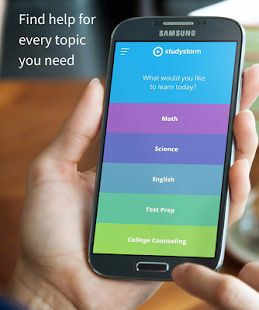 Overall, this is clearly a useful app and well suited to revising topics for American exams. That said, the adverts really do provide quite a distraction from the content, as well as causing a delay in using the videos. 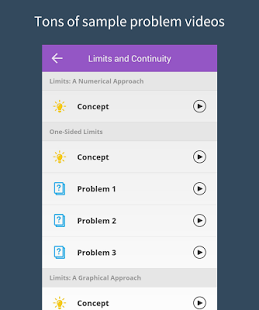 In terms of its use for other curricula, if videos are chosen carefully to supplement the topics being learnt, then they can certainly help with introducing and revising core material, but the app could not be relied on to deliver the majority of the curriculum in this way. Given the nature of the videos, it is also possible that the style could become rather samey long before the thousands of videos have been viewed. No more boring, homemade study videos on the web. Our comprehensive video library covers every topic you need in 21 subjects including ACT, SAT, and AP tests. Study with crisp and clear movie-quality videos that are filmed in studios by professional production crews. Great teachers make your learning easy. 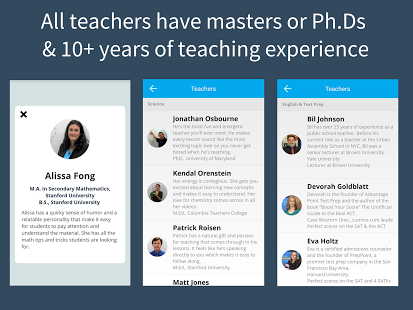 All of our teachers have masters degrees or Ph.Ds and years of teaching experience. What does that mean? They’re masters of their subjects and know where students make mistakes. Plus, our teachers are far from boring. They’re so fun and dynamic that users watch the videos again even after they understand the topic. Great learning starts with great teaching. Experience your “A-Ha!” moment with our all-star teachers. You can get straight A’s if you have an infinite amount of time. Like most students, however, you have a busy schedule and balancing your time is difficult with demanding classes. The easiest way to get better grades in a short amount of time is to have great teachers help you with every subject. 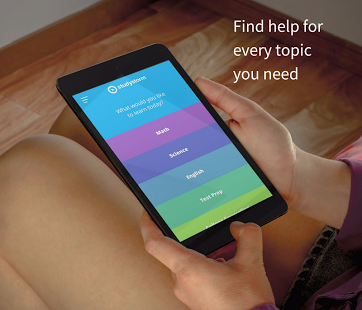 With over 5,300 study videos, you’ll always find help for every topic from the best teachers. Pre-algebra, Trigonometry, ACT, AP Biology, Probability, you name it. It’s like having a private tutor with you at all times. The college application process can often be very frustrating and time consuming. Get reliable advice from a renowned college admissions counselor who has helped hundreds of students get into their dream colleges. Admissions experts can often charge more than $100/hour, but you can get it from our College Counseling section.